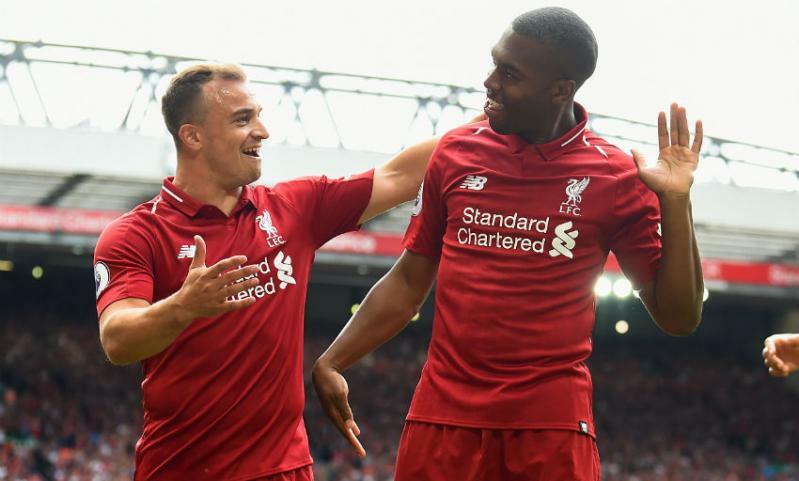 Jürgen Klopp welcomed a 'very good start' to the season for Liverpool after West Ham United were dispatched 4-0 at Anfield on the Premier League's opening weekend. 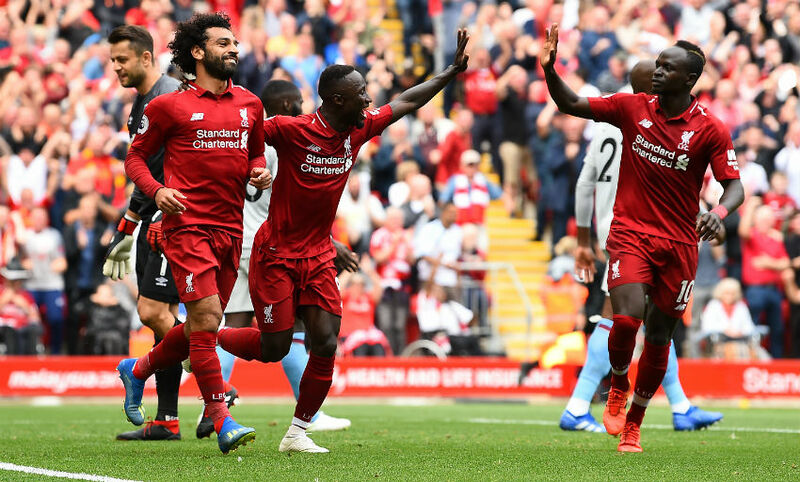 Mohamed Salah tapped the Reds into an early lead before Sadio Mane extended the advantage in first-half stoppage-time. Mane was on the mark again shortly after the re-start, converting on the spin from Roberto Firmino’s lay-off, before Daniel Sturridge wrapped up the scoring just seconds after entering the action as a substitute. Afterwards, Klopp offered an update on Dejan Lovren's fitness and spoke of his satisfaction at the result and the performance of his team as they got their campaign up and running in style. Read on for a summary of the manager’s post-match press conference. A very good start, for sure. Yes, it’s a start - perfect as well because we won the game. For us it was not perfect, but really good. Nobody knows exactly how well you did or how worthy your pre-season is. Always you see things in pre-season [against] different opponents and in different moments, but now the Premier League is a proper fight and immediately today that’s the biggest change and then you hope as a manager that your team is ready for that, because you cannot test it before you have the test. For that… the start was good. After being 1-0 up, maybe we didn’t have exactly the same dominance, we felt the intensity. We didn’t have that in the pre-season really, because after 60 minutes you change. That’s no problem because when you feel something after about 30 or 25 minutes then you know it’s not too long to go, but when you want to go the whole game… that’s all different. You saw we were not as compact anymore in that period when Arnautovic had a chance and they had a few set-pieces. They were obviously taller than us today, so that was always a bit tricky, with the wind also. Then we scored in the perfect moment before half-time, absolutely perfect, then we scored the third one and the fourth one when Daniel was kind of eight seconds on the pitch - that was really cool. So result good, performance good, let’s carry on. Yes, nice. Absolutely a good performance, of course. 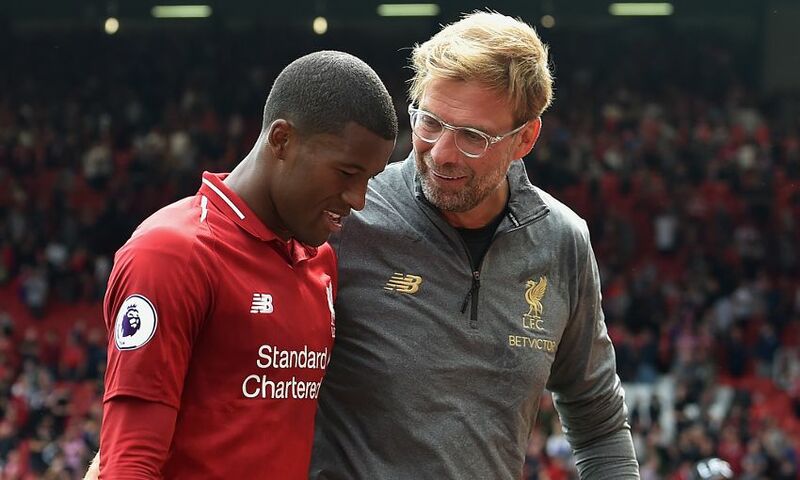 After six weeks in I don’t make the difference between a new player and another player because for me, it is exactly similar importance that Millie and Gini are ready to make the next step in their development as well. So Naby is in because he’s a really good footballer and I’ve said it from the beginning that he’s obviously settled really quick and has a similar style of play in a similar position as he did at Leipzig. He can play different positions of course, but I think No.8 is his best in the moment, so that’s all cool. He has a lot of help from the players around - Sadio works really hard and the same with Gini and Millie and Robbo in this case. So that’s really good. I’m pleased, absolutely, but actually that’s what we expected. We have expectations as well, so that is already enough to feel completely different before a Premier League game before all the pre-season games. Wherever they are, whether it’s Man United in front of 100,000, it feels different to a Premier League game against West Ham, that’s how it is. You cannot create that situation, that’s what I mean when I said you cannot test the test before you have the test. It was good, we know about our expectations and we obviously realised a very positive atmosphere around us in the whole pre-season, that’s all. It’s good that the people are positive, but the people know as well that this season will be unbelievably hard. That’s the only thing that I wanted to say: we cannot be anything different from the challenger because we didn’t win anything since I am in anyway, [and] it’s a long time ago. So we have to invest more, we have to fight more, we have to create more. That’s what we expect from ourselves and then we will see where it leads to. West Ham will play for sure a good season, but they are not then the Uniteds, Citys and all that stuff. That’s how it is, they know that and we know that and we have to be ready week in, week out for all the different challenges. Expectation - ours is the highest, but that changes nothing. Yes [I can see it] because I am not blind! I can see them and I can read the line-up and see then who is on the bench. Alberto Moreno, I have no explanation why he’s not in the squad - he had a fantastic pre-season, he got better and better and better but we have to make these decisions. Adam Lallana didn’t come on and is getting better and better and better. Clyney the same, Dom Solanke, Divock Origi are all getting better and better and better, but that’s what you need. I am pretty open when I speak about this. I don’t like telling players you are not in or whatever, especially when they give it all in the training sessions, but it is a completely normal part of the business. There are more difficult things to accept in life [but] it’s August and September and then we start playing three games in a week and then we don’t have that problem any more pretty quickly. Everybody will be fine so the job for the boys in the moment is to work really hard if you don’t start, and if you start as well, and be ready for the moment. At the end of the season the plan is they are all happy because they played an important part in our season, so from my point of view all good.